will it be updated to 1.12.2? Using version for MC 1.10.2: Please consider an additional feature/function - modified hit boxes so that you can shoot in between the bars. Thank you for your consideration. Any hope for a 1.11.2 update? How is progress going on 1.7.10? Came here to see if there were any updates to 1.10 recently, or a port to 1.11, only to see focus will switch to 1.7.10, even if only for a bit. I'm sorry but I really wish people would come off 1.7.10 already from all sides. Time to step out of the dark ages, already. Let it die. Been playing modded since 1.5, so I had my time with 1.7.10 all the same, but any time focused on a version technically over 3 years old is time wasted as far as I'm concerned. Don't want to update? You miss out. Simple as that. Stop begging for backports, and stop encouraging the people who are begging. I'm actually starting with 1.7.10 for this rendition because it's the last relevant version before the BlockState code, which was added in 1.8. To put it bluntly, this next version will have 2^24 different combinations of fence connections per wood type, and I have a good portion of the code to double that (up side-down fences -- 2^25), as well as the framework to add even more (normal and upside-down connecting -- planned 2^41). I haven't done much in regards to BlockStates nor renderpipelines before, but i know that I would normally be limitted to a single int (2^32) for all render batching in Minecraft for everything - clearly less than what I have plans for. And since I'm not yet intimate with BlockState stuff, I am waiting until I have something already working to start with. Thus, 1.7.10 is what I see as the logical starting point. I'm currently deep in development of the next rendition of this mod, which will start as MC 1.7.10-only -- something very different from the last, which had a release for every MC version since (and not including) that version (MC 1.11 of that line will come soon). This new rendition will not be forward/backward compatible with the current line, but will TRIPPLE the number of potential connections (to 24) by introducing y-diagonal connections -- something important for railings! It will also add EIGHT TIMES the number of connection logics - 4 forms of xz-diagonal and 4 forms of y-diagonal orderings, combining to 16 logic forms [vanilla-esk/vanilla-esk preferred/diagonal preferred/diagonal-only]. 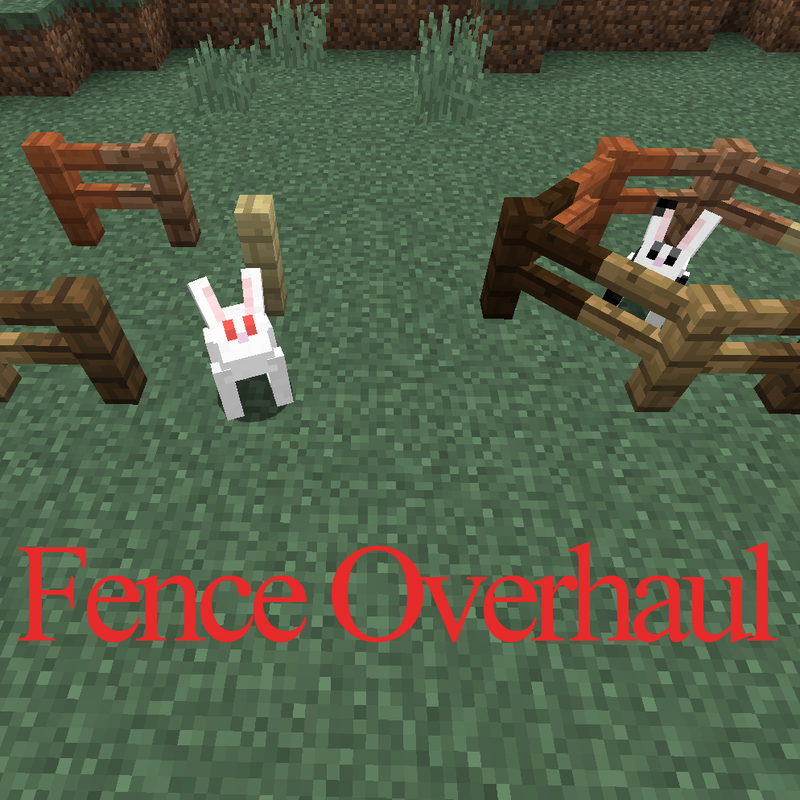 It also lays the groundwork for an additional two fence-based improvements, as well as most of the groundwork for diagonal stone walls. For those concerned, the save form for the fences that I'm introducing will be loadable by future updates, even when I add more improvements. In a related but not dependent area, I'm starting to tinker towards collision meshes in MC -- aka, diagonal [and non-box] collision boxes. This will be a seperate mod as an independent library, and will be an OPTIONAL dependency for this mod - with it, diagonal fences will be able to have better-fitting collision spaces and will be able to act as players would logically expect on moving Entities that walk into them. Both without that upcoming lib and in the meantime, the fences use a collection of Axis-Aligned Bounding Boxes to approximate collision space and collision responses, just like everything else in the game. if you don't mind some extra works to do.. it could improve your mod a lot better and making it more interesting mod than before. so can you add the same features you did to these fences... also to "Glass pane"? or stained glass pane? would it be possible? 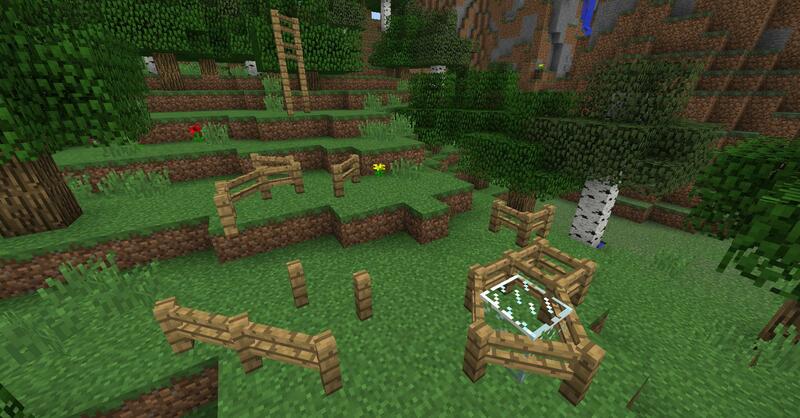 Looks like an amazing mod....now, can you make a fence that goes uphill without angling at each block? another vote here for a 1.7.10 backport. walls would be a shiny addition. btw, seasons mod is EPIC!! It is epic, but it don't use forge. 1. Woul´d you like to do this for 1.7.10? 2. If there will be 1.7.10 version, will it support Aqua Tweaks? Just asking, I'm not going to kill you if you say no. It would be really great if you could just extend normal fences with diagonal options. If u won't like to do that or haven't time for a backport is there a way to share the code that we can find another modder who like to invest some time for a backport? Are walls included in this? If not, please do add them. Walls aren't included, since they're different than fences (as can be seen when doing parkour involving them: they're thicker/bigger). Could you do a 1.10.2 version? 1.9.4 mods are generally compatible with 1.10+, so it shouldn't be too hard (although I know nothing about modding, so I may be wrong).